December 31. For some of you, this evening will consist of sparkly dresses, champagne glasses and midnight dances. Others might be spending tonight with a select few or perhaps a loved one, happy to avoid the New Year’s hoopla in favour of good food and good wine. 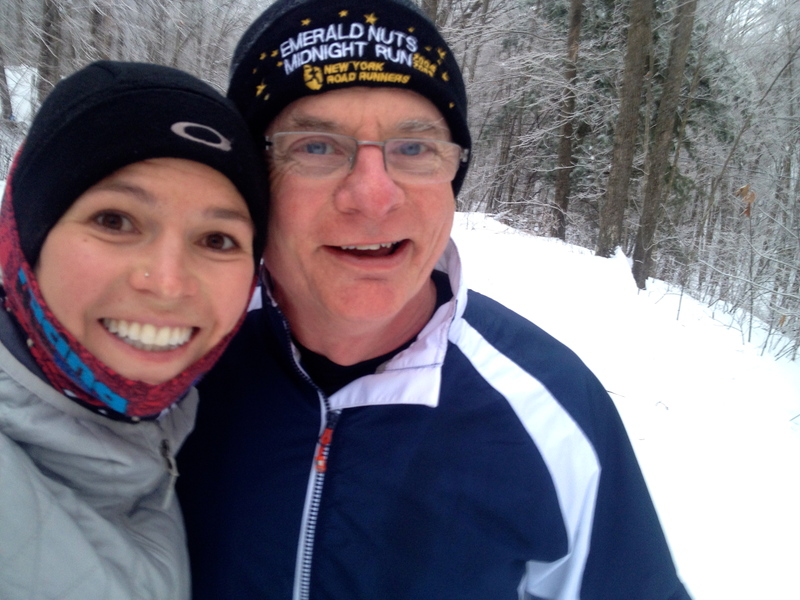 And I know that some of you crazy ones are out on the trails in Hong Kong or bringing in the New Year at the Emerald Nuts midnight run in Central Park, racing towards 2014 in true style. As for me, I am spending today at my parents’ cottage in Canada, enjoying the quiet surrounds of wintery Canada, and reflecting on all of the events of the past year – the good, the bad, the incredible and the downright ugly. In between hiking through the snow and skiing on the frozen lake, I have been pondering the three main questions that always pop into my head around this time of year: What did I learn over the past 12 months? What do I still need to figure out? And am I where I want to be? If you’re into making New Year’s resolutions, don’t even bother to come up with one until you’ve tried to answer these questions first (in my humble opinion). Well, I’ve learned that wearing dresses over pants can be potentially fashionable outside of Muslim countries. I’ve learned where all of the power outlets are in Dubai airport’s Terminal 2, and where you can sleep while charging your phone. I’ve learned to see the world through the eyes of a 13-year-old Afghan girl and been ashamed by my own cynicism. I have learned how to recognize what is simply a #firstworldproblem and to give myself a break when it still seems like a big deal in my head. 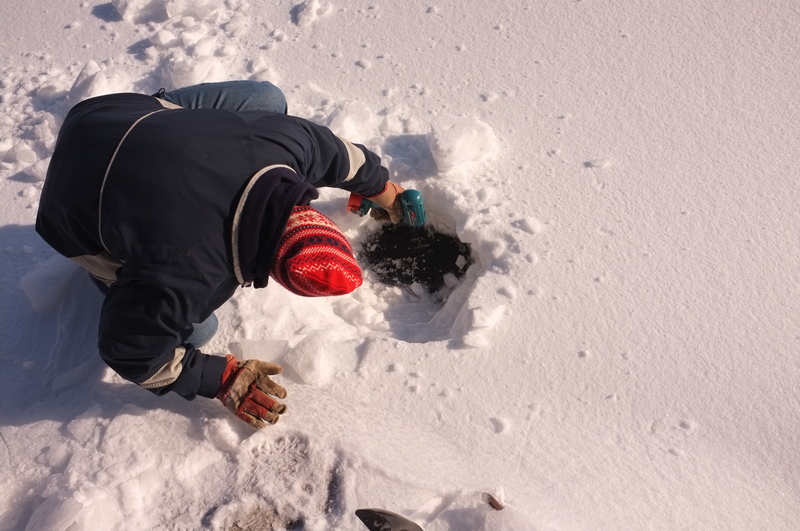 Drilling the ice to check if it is safe to ski on! I’ve learned that forgiveness is a gift we give to ourselves, rather than to the one who has hurt us. I’ve also learned that it is a daily, ongoing act of kindness, rather than a single moment in time. I’ve learned how to cry in French and laugh while in despair. I learned for the first time what it means to love unconditionally, and felt the pain of being loved conditionally. I’ve learned to shout out warnings in Czech, introduce myself in Russian, and swear in Italian. I’ve learned that when someone shows you who they are, you should believe them – the first time. I’ve learned that my self-worth cannot – or should not – be determined by the standards of another. I’ve learned that complicated does not mean interesting or exciting, and seeing the world in shades of grey can dull an otherwise colourful, fluorescent world. I’ve learned that a good apology can be transformative, but a series of repeated apologies are usually meaningless. I’ve learned that I can make it through a day, a week, maybe even a month without my beloved diet coke (going on three weeks now!). But that giving up one vice is usually replaced by another. I’ve learned that my friends are far more amazing, generous and caring than I ever gave them credit for. 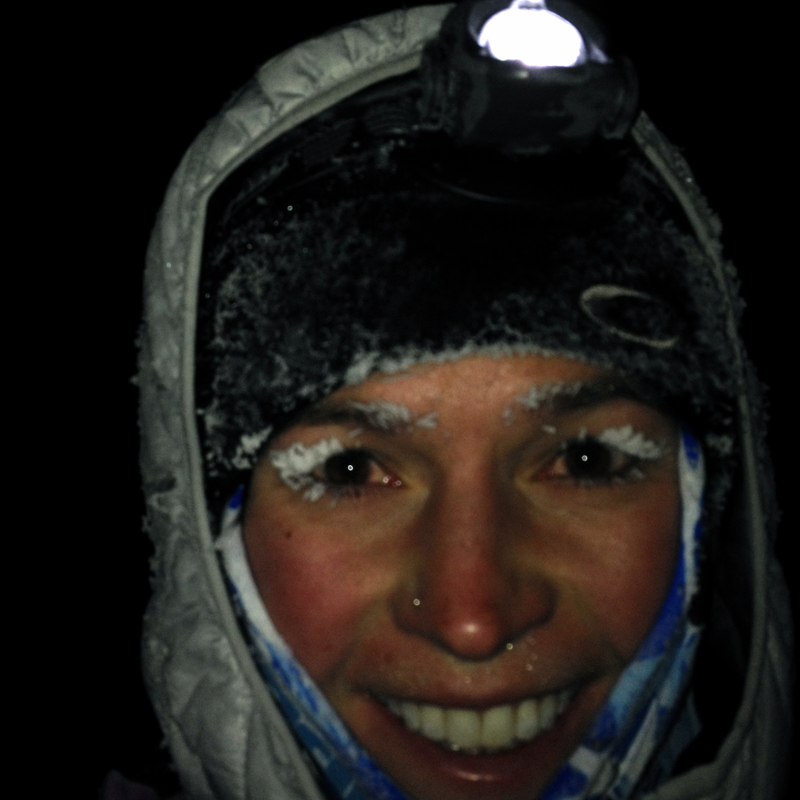 I’ve learned what it feels like to have my eyelashes freeze on a -20 degree Celsius run. I have learned to subordinate my own desires and dreams for another – but haven’t yet figured out when it is okay to prioritize myself instead. I’ve learned that good people can act badly and bad people can surprise you, but all that matters at the end of the day is the capacity to trust, respect and care for another. I still need to learn how to stop apologizing for who I am and what I do. I need to learn how to give myself a break (never!!!) and try to relax, other than after a race. I need to figure out how to use #hashtags and what is tweetable vs non-tweetable. I need to learn how to let go more. And mostly, I need to learn how to weather the lows better and trust that a high is just around the corner. I’ve got a lot to learn yet. And I’m not where I want to be. Last year at this time, I never would have thought that on December 31, 2013, I would be alone, unemployed, and struggling to find my path. I’ve never had more than a week or two without full-time work and it has now been almost three months since I’ve been actively looking…. Frustrating and humbling, but perhaps a good reminder never to take anything for granted. In some ways, I’m kicking myself for making myself so vulnerable – emotionally and financially – in my past relationship. Perhaps it was incredibly naïve, but hey, we all make mistakes. I would rather get hurt a million times over by believing in a relationship I shouldn’t have, than constantly distrusting something that was real. 2013 was filled with adventures and excitement, but unfortunately a lot of turmoil and pain. When I think of the highlights, I remember the kids I taught in Afghanistan, the lawyers I met in Liberia, the sunrises I saw during UTMB, and the friends I made in the fall. When I think of the lows, well, I turn my mind to 2014. If I were to make New Year’s resolutions, it would be the same as last year – I would resolve to be true to myself, true to my passions, and kind to my loved ones… and I would resolve to keep pushing myself forward into the scary, overwhelming, and exciting unknown. 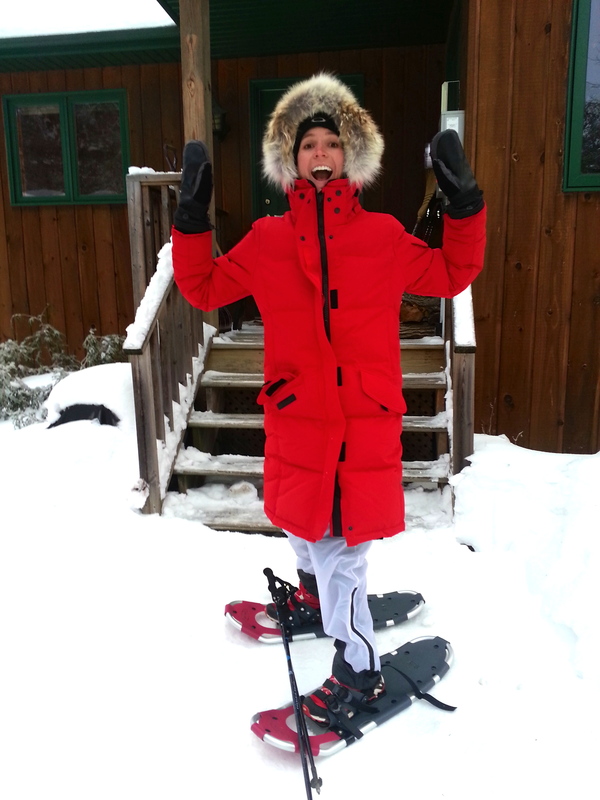 Who knows what 2014 holds, but I can only hope it will contain more adventures, endless miles, and a lot less turmoil? Bring it on. I’m excited for all of the things you have planned this year! Keep me posted on your studies!